Gambling is a dangerous activity. The fantasy of seeing one's lottery numbers come up or winning big at the blackjack table may be nothing more than a pleasant diversion for some, but it is a powerfully seductive temptation for others. Whether in the hope of getting rich quick or for the thrill of laying it all on the line, compulsive gambling at its worst can lead to ruined marriages, squandered nest eggs, and even suicide. Take mechanic Jules Grenier, who sold his Gaspe gas station and moved to Montreal in the year 2000. He subsequently became a problem gambler and by the year 2007 had lost half a million dollars, his entire life savings, at the Montreal Casino. On April 2, 2008, the 74-year-old hanged himself on the bridge next to the Casino. It is a sad story, to be sure. One can feel sympathy for Grenier and for his family's hardship and loss. But are Loto-Quebec and the Montreal Casino to blame for this tragedy? Grenier's widow seems to think so: she is suing them for $900,000 in damages. CTV News reports that similar lawsuits have failed in the past. It also notes, however, that Loto-Quebec just this past January settled a class-action lawsuit brought by gambling addicts. Specifically, the gaming corporation agreed to pay $50 million to 120,000 gamblers to reimburse them for the costs of addiction treatment before 2002, when the province did not cover those costs for gamblers. Fifty million dollars is admittedly chump change compared to Loto-Quebec's $1.4 billion in annual profits. But should the gaming corporation really have paid anything at all? Much as I am not in the habit of defending government entities, Loto-Quebec does not hold a gun to people's heads and force them to gamble. Why, then, should it be held responsible for the consequences of their bad choices? Now, compulsive gamblers surely feel compelled to gamble, which is to say, they feel that they are unable to control themselves. It does not follow, however, from their lack of self-control that a gaming corporation or casino has a responsibility to help them control their gambling. We do not expect restaurants and grocery stores, after all, to help compulsive eaters control their food intake. "When we refuse to accept the consequences of our own actions and go running to the government to ease this or that burden, those who rule over us are only too happy to take up the weight." 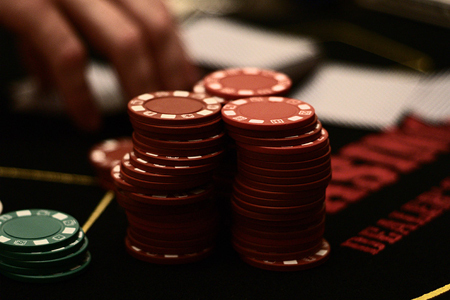 Compulsive gambling, eating, drinking, and smoking are examples of weakness of will. Human beings have free will―they can choose how to act―but their wills are not omnipotent. The strength of will to control potentially dangerous impulses must be developed, and doing so is an important part of becoming an adult. But if a strong will is not built in a single day, nor is it shattered overnight. Every day of their lives, people make choices that will either nurture or undermine self-control. Bad luck by itself is a sufficient explanation for very few failures. One might accept that adults are basically responsible for their own actions but still object that the promotion of gambling is not a very nice way for a government to collect revenue. Although I am not responsible for helping my friend stick to his diet, it would still be awfully inconsiderate of me to dangle a chocolate bar in front of his face. For many people, however, chocolate is a harmless, occasional treat. Lotteries or casinos, again, are like restaurants and grocery stores, catering to a wide variety of patrons, most of whom exhibit sufficient self-control. It is up to the dieter to develop both a progressively stronger will and a variety of strategies for dealing with a weak will, such as not keeping junk food around the house. More importantly, though, if we are to make any progress whatsoever in the direction of a free society, we must resist the urge to abdicate responsibility for our own choices. When we refuse to accept the consequences of our own actions and go running to the government to ease this or that burden, those who rule over us are only too happy to take up the weight. It may seem like a small thing, but with each bit of relinquished responsibility, we lose a little bit of power over our own destinies, and we regress a little more into a childlike state. Freedom requires responsibility. We need to double down and start defending our right to fail or succeed by our own devices. It is at our own peril that we trade the struggle against internal compulsions for the external compulsion of an ever-growing State.